Get up close to a butterfly and you better appreciate the tough life they must have. 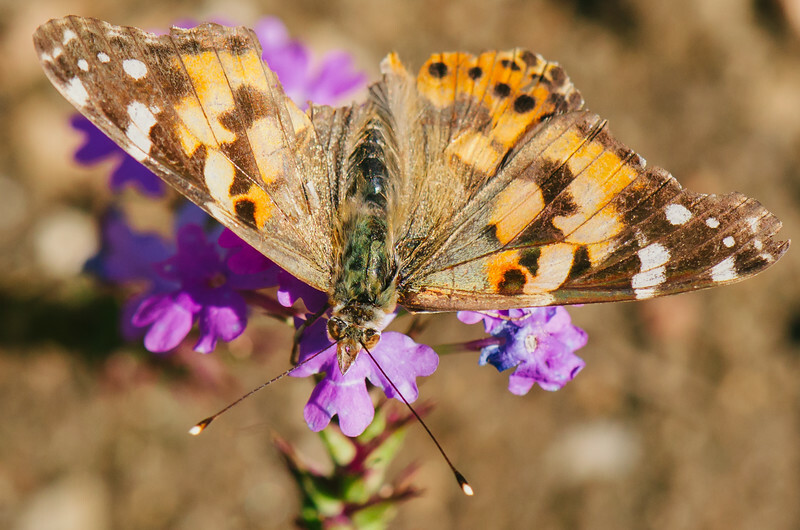 Looks like someone took a chomp out of his/her right wing; I think this is a Painted Lady, the very common butterfly seen around Southern California. Taken with my Nikon D5100 and Nikon DX 85mm micro lens at the Huntington Gardens in San Marino. Please check out my SmugMug page for more pics and to buy prints; 8 x 12s start at $11 and are done by a quality firm, Bay Photo.